It’s Wednesday so that means it’s another challenge at Freshly Made Sketches. Jen Mitchell is this weeks hostess and she has designed this fabulous sketch. Jen is so talented and creates cards that I can pick from a mile off – she has the most beautiful clean style that I swoon over. I love creating flowery cards but lately I’ve been thinking I’ve been overloading you with them. So, I decided to use a neglected Stampin’ Up! stamp set called Hearts A Flutter that has never seen ink. I’ve teamed this stamp set with some retired Stampin’ Up! DSP called Nursery Nest. We’d love for you to join us this week at Freshly Made Sketches, so head over to the challenge and check out the gorgeous inspiration from the Design Team. This is so great, Narelle! Love the banner here and the colors are awesome!! So soft and beautiful! Love the banner and how you put it all together! Love this….so soft & pretty! I didn’t get this set from the mini, but now that it is making it into the new catty, it MIGHT be one of my SAB redemptions! Especially when I see how cute it is right here! That’s funny cuz I can spot one of your cards from two miles off!! I love how you mixed up the shapes from this stamp set. And beautiful colors too! 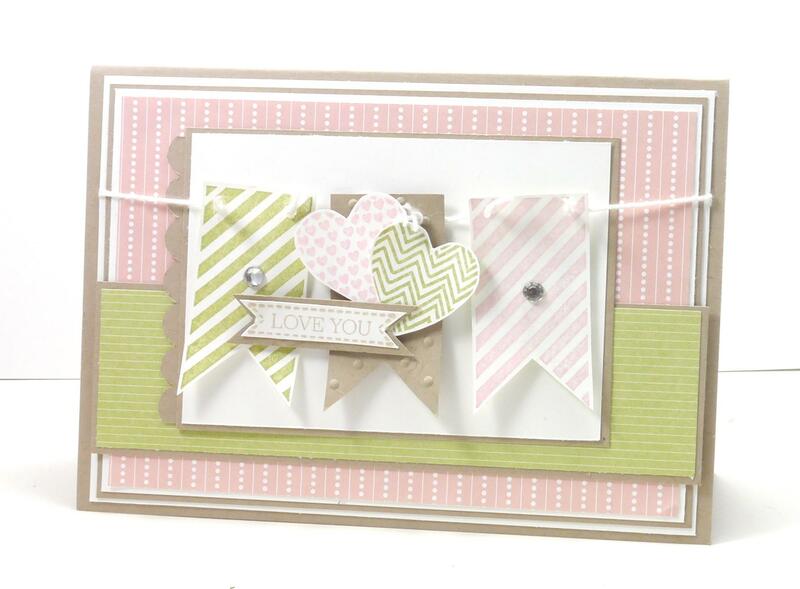 Narelle this is such a pretty card soft colors and I love the banner and the hearts set it of,!!! I can definitely spot your gorgeous layers miles away!!! This card would have me guessing though!!! The lack of flowers did throw me! Love Heart’s a Flutter!!! It’s a fun set! Beautiful colours Narelle! Beautiful, soft and serene card, Narelle. Great card Narelle, love those colors! I love your flowery cards too! Oh my gosh, Narelle. This is just the most fabulous card! I love the color palette, and this is a Stampin’ Up! Catalog perfect card! The design and details are perfection! My heart went a flutter looking at this…so pretty, delicate, and sweet. I adore the colors you chose;) Awesome card! Lovely soft colors and awesome design! I love it!